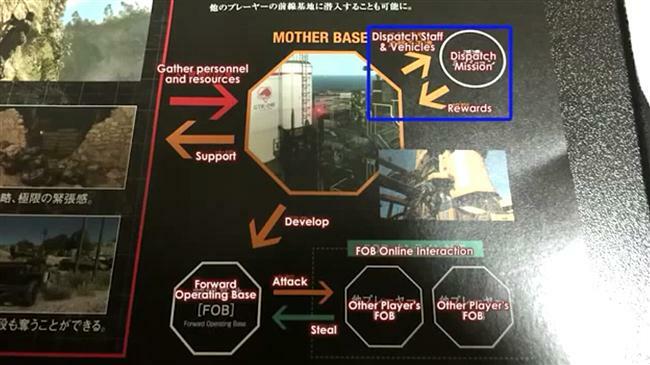 Outer Ops (Dispatch Missions) are like side missions which the player can manage from Mother Base. These missions have great rewards but unless your base staff is sufficiently skilled then they can be very hard to complete. To unlock this mode the Combat Unit has to reach a certain level, from there the player can dispatch non-playable forces around the globe to complete tasks. 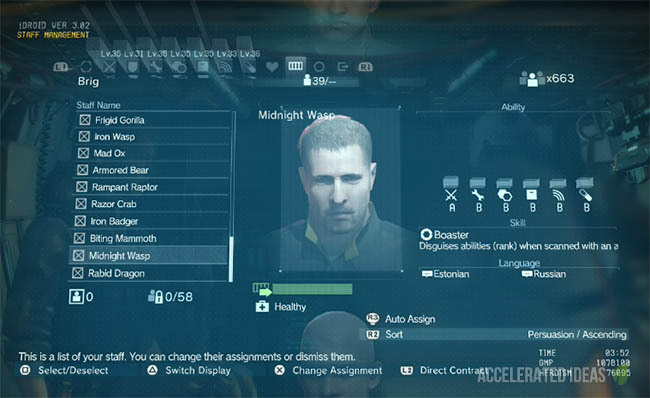 Successfully completing any of these missions will reward the player with GMP, blueprints for new tech and also recruits for Mother Base. Whether an Outer Op mission is successfully accomplished or whether your team come back in body bags depends on the skills and stats of the soldiers you send. These Ops take part in the background allowing you to continue your other missions without distractions. Keeping moral high will allow your recruits to develop over time, increasing their skill level which in turn improves your base rating, allowing you to divulge in more Outer Ops. Depending on the actual mission you may choose to mix and match the troops you send into the field. 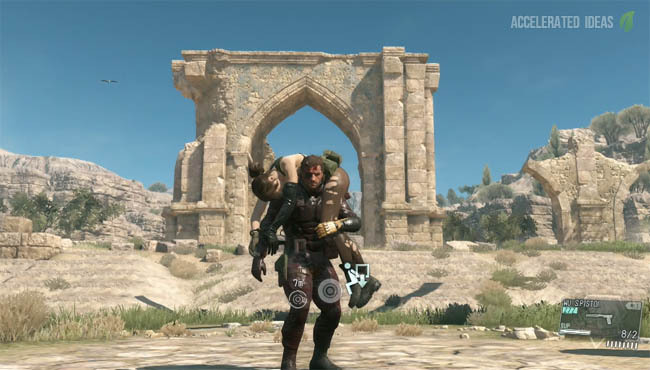 Recruits have varying skills and it's important to balance out a soldiers weakness by compensating with another soldier with stronger stats in other areas. Besides troops you can also send in tech and vehicles, and depending on the type of mission certain vehicle choices will be better than others. Be careful before you embark on a difficult op because you'll just end up sending recruits to their death, thus reducing your base stats and forcing you to recruit more members from the field all over again.